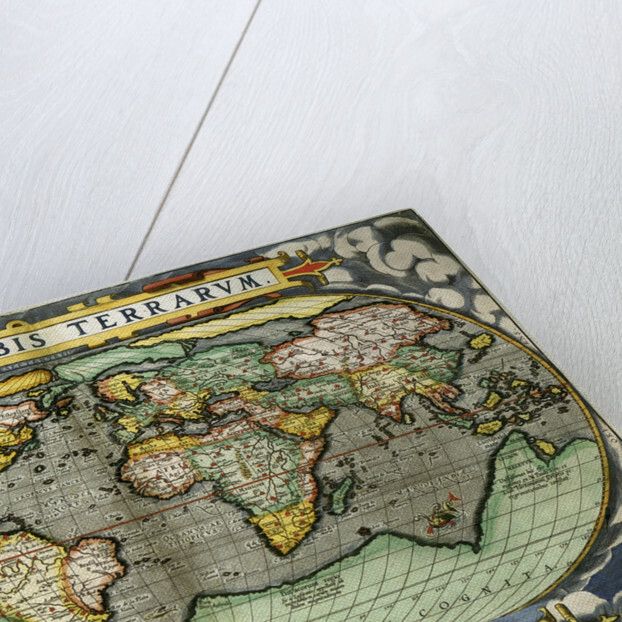 A colourful world map, created by Abraham Ortelius. 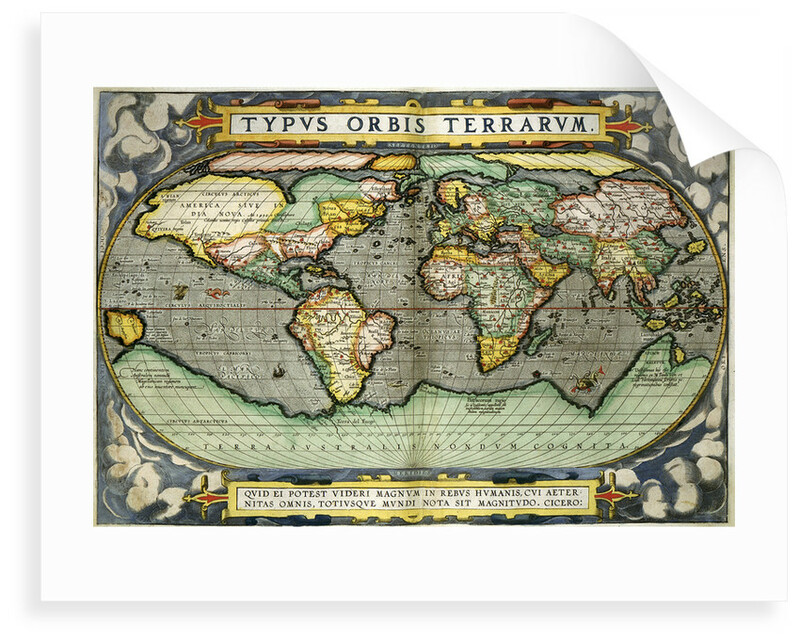 It is entitled Typus Orbis Terrarum (World Map). The image is taken from from Atlas Sive Cosmographica. 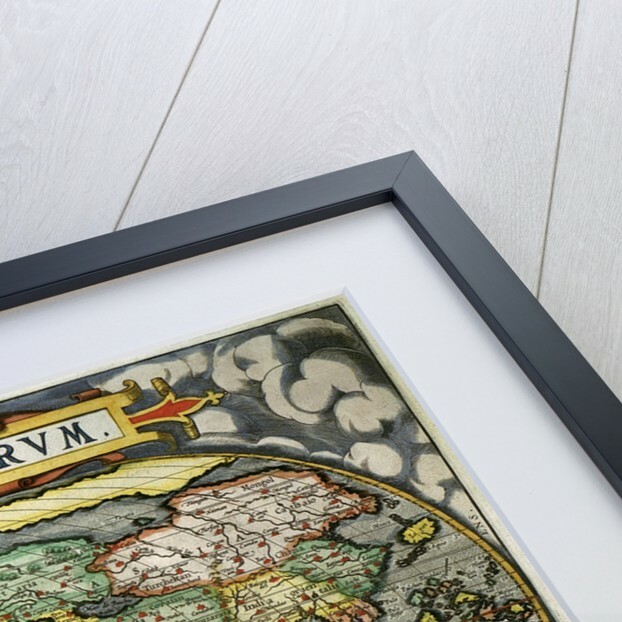 Originally produced in Antwerp, Netherlands,, 1598. 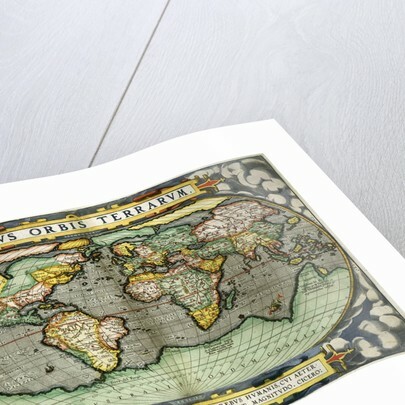 Explore the collections Maps, Treasures of the British Library.